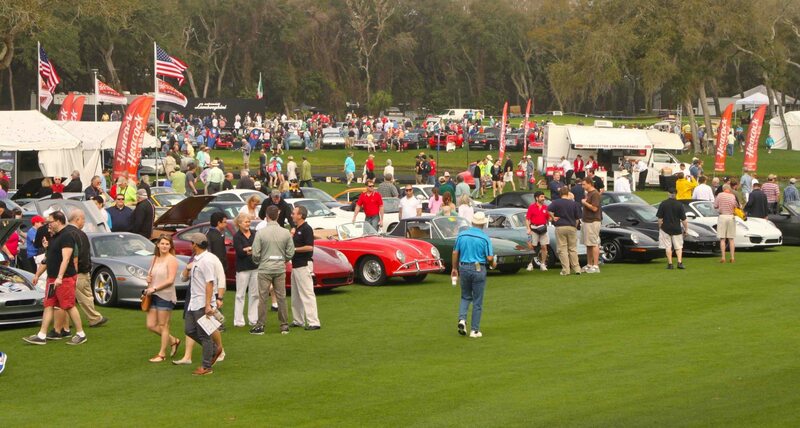 Congratulations to Bill Warner and his staff for one of the best automotive celebrations we’ve ever seen. The 20th edition of the Amelia Island Concours was a fitting celebration of the anniversary, with large crowds, wonderful tributes all around, and the reason every car guy has to visit – the incredibly cool and unique cars that attend. The honoree of the weekend was Sir Stirling Moss, who at 85 years old remains eager and vibrant, albeit a step slower, and his vivid recollections of his drives from long ago entertained everyone. Entrants and sponsors fortunate enough to attend the Mercedes Dinner on Saturday evening was entranced with his stories of racing, his fellow drivers, and even the crash that ended his career. 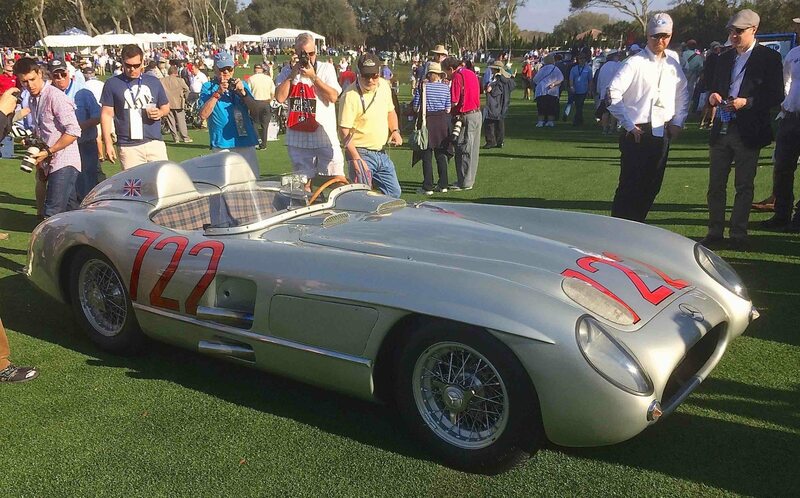 At the Concours on Sunday, he was reunited for a lap around the field with the 1955 Mercedes Benz 300 SLR that he drove to victory in the 1955 Mille Miglia at a record pace – a record that stands to this day, 60 years later. The 20th anniversary of the Amelia Island Concours d’Elegance began with a great tour through the countryside, and all the auction houses held viewings and open houses, with Bonhams, Gooding & Company, RM Sotheby’s and Hollywood Wheels all holding sales nearby the Ritz-Carlton. 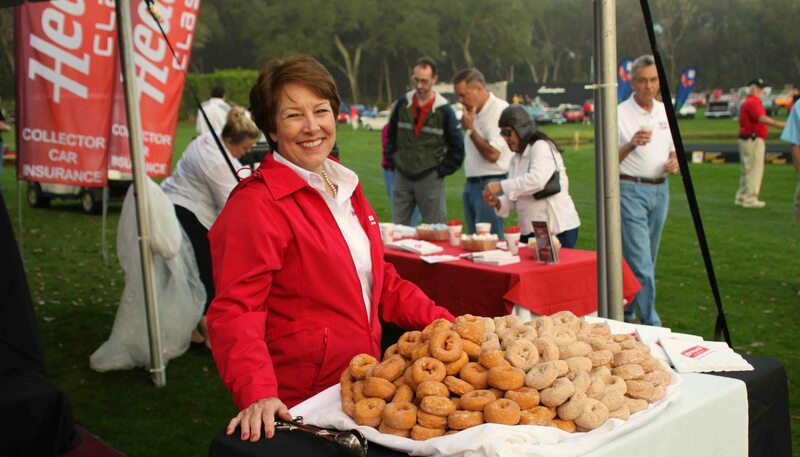 One of the highlights for Heacock Classic was hosting the Cars and Coffee at the Concours event on Saturday morning. 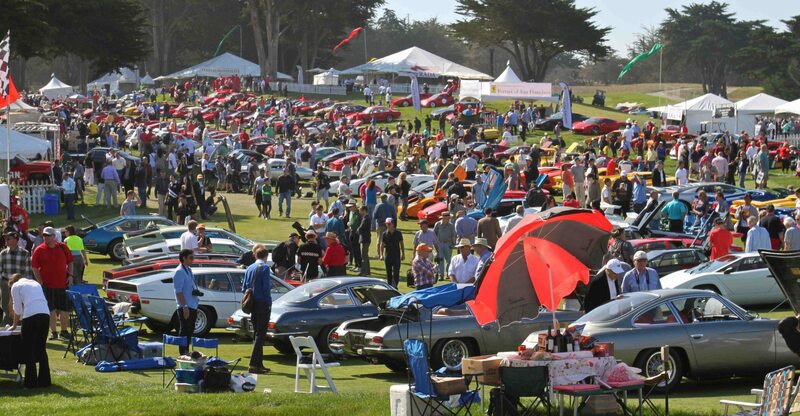 Over 320 cars joined us for the celebration, with a truly diverse slice of automotive greatness represented, and many clubs arrived and put up their displays. Every participant received a nice entrant bag and coffee from the Heacock Classic display. Sunday always begins at dawn, and that’s where the sound part comes in, as enthusiasts and journalists capture those great automobiles as they enter the showfield. 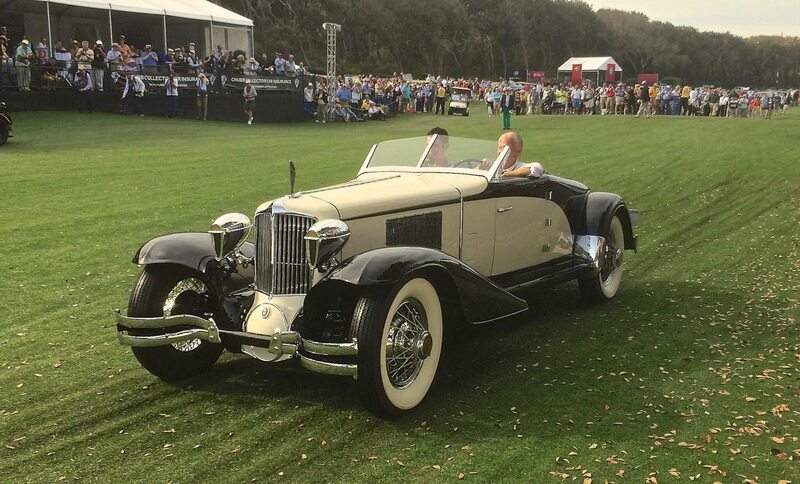 The row of featured Marque Stutz was wide and deep, and being able to see the design progression was a treat. On the north end of the field, 26 race cars that were driven by Sir Stirling Moss were assembled, and it was an impressive sight. The cars of the Cowboys was a popular class, with the ex-Hank Williams Pontiac Bonneville now owned by Kid Rock being named Best in Class. The Judges began early, evaluating the cars and speaking with their owners, and about noon they were done. The day ended with an Awards Presentation hosted by Ed Lucas, giving the fans ample opportunity to see and photograph the best cars in each class. 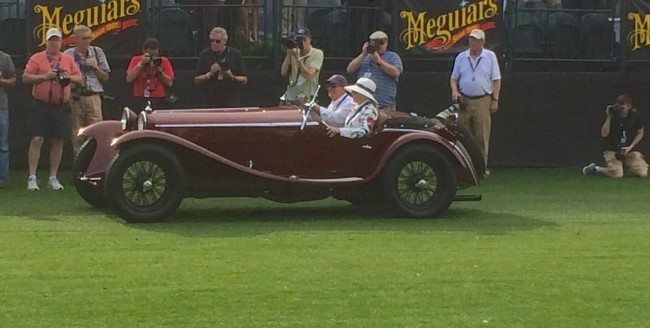 The Best of Show Concours d’Elegance went to Ed Schoenthaler’s 1930 Cord L29 Brooks Stevens Speedster, which Ed dedicated to his wife Judy. Best of Show Concours de Sport winner was David Sydorick’s 1932 Alfa Romeo 8C 2300 Zagato spider. Our congratulations to Bill, all the volunteers and sponsors, and all of the entrants and winners for an incredible display of automotive history, and for 20 years of supporting local charities.